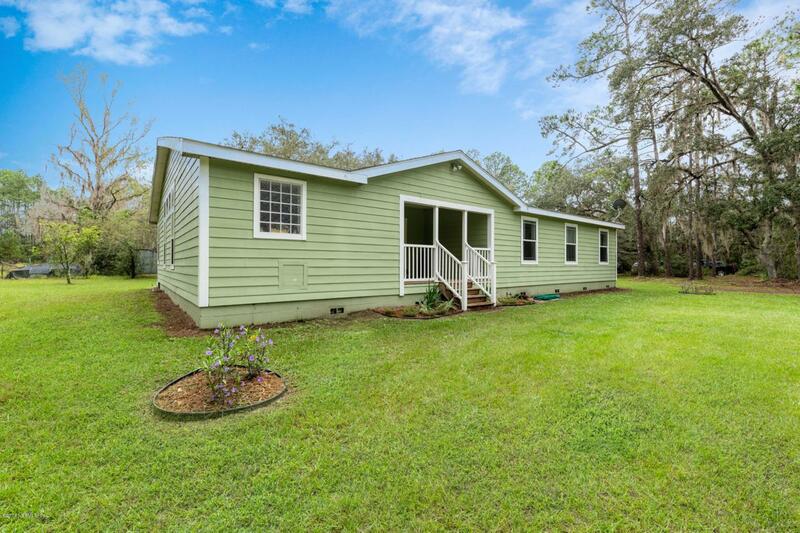 Triple Wide Modular Home is located on 11.6 acres. 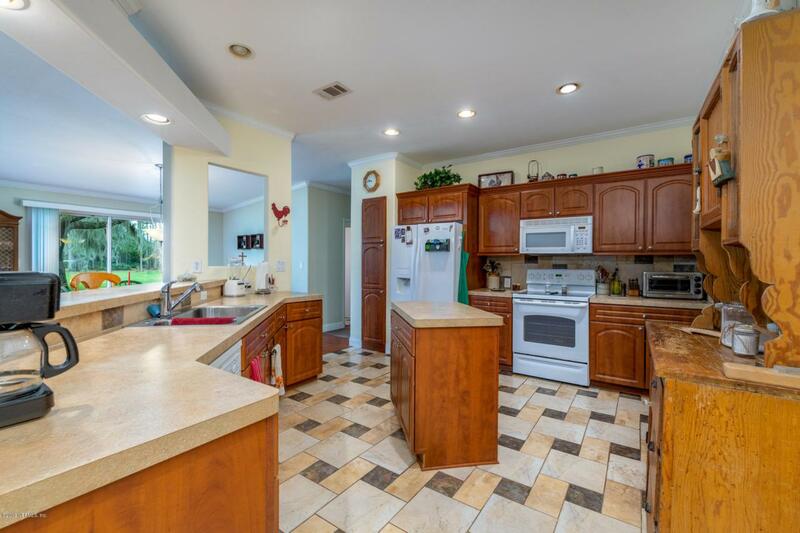 This 4 bedroom and 3 bath home is immaculate and has been well maintained. The rural setting gives you plenty of peace and quiet but only minutes from shopping. All kitchen appliances, washer and dryer included. Large detached garage/workshop. Plenty of value in the pine trees if you wanted to harvest them. Property is zoned agricultural, so bring your farm animals. 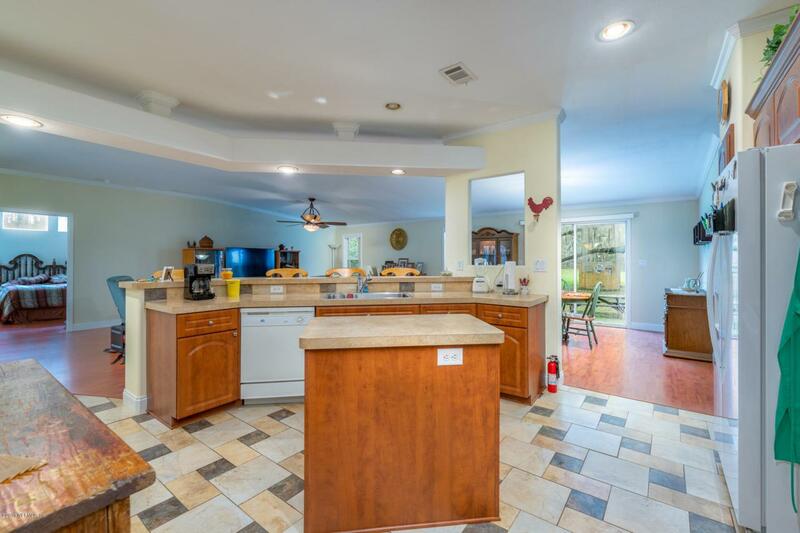 Large kitchen with a food preparation island and breakfast bar. Living area is over 2300 sq ft and has a wonderful open floor plan. Transferable termite bond. Home is well insulated and electric bill is really low for this size home. 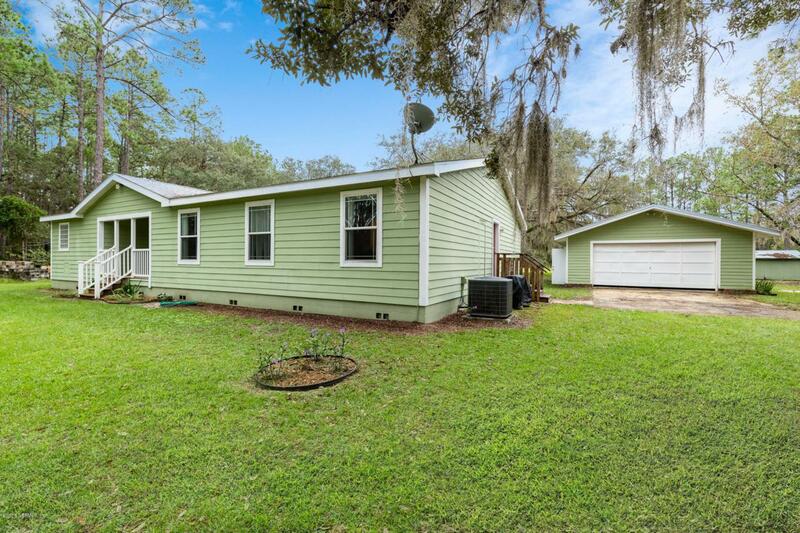 Great opportunity to own a beautiful home in the country. Take time to look, you will not be disappointed.